When it comes to gluten-free baking, I rely on boxed mixes to do the heavy lifting for me. Playing the game of having to mix seven different types of flours that many from-scratch recipes call for just isn't my cup of tea. With box mixes all I have to worry about is milk, eggs, oil, and maybe one or two other mix-ins. However there are times when even box mixes seem too involved when I want a quick fresh-from-the-oven cookie fix. 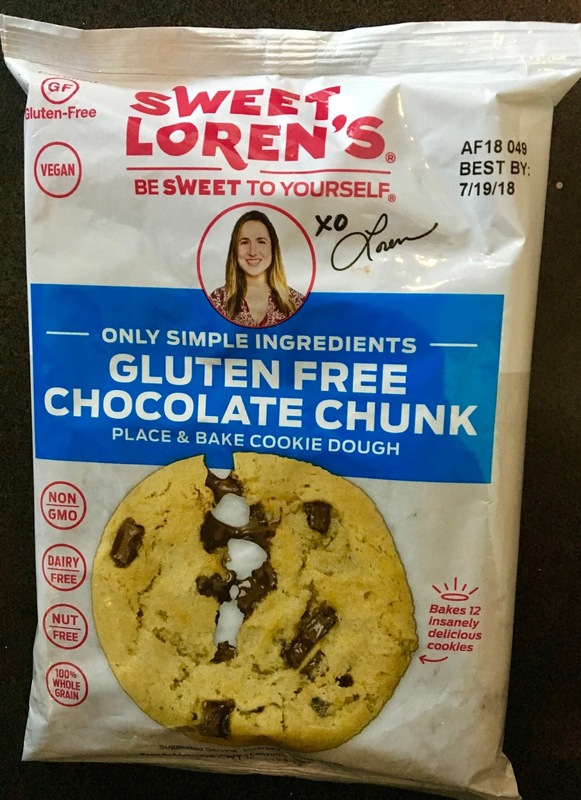 Luckily, Sweet Loren's place and bake cookie dough can be ready and waiting in your fridge whenever a craving strikes. Magically able to transform from a refrigerated dough to delightfully fresh-baked cookies in under 30 minutes, Sweet Loren's wins points not only for eliminating complicated cookie prep, but also virtually eliminating most most the mess involved with baking. Formulated to be gluten-free, nut-free, dairy-free and vegan, I wondered if Sweet Loren's gluten-free chocolate chunk cookie dough was too good to be true when I first spotted it at my local Giant. The dough only lasted a few hours in my fridge before I couldn't resist putting it to the test. When booking a matinee and evening Broadway show on the same day, I knew I needed to find someplace close to grab gluten-free fare in between shows. 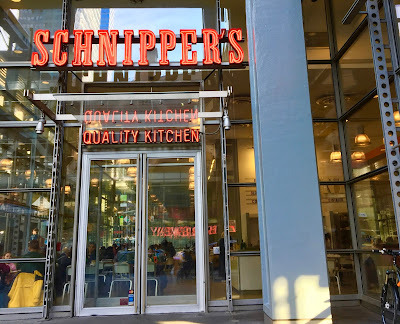 After considering all the nearby options using Find Me Gluten-Free's location feature, I decided to go to Schnipper's at 41st Street and 8th Avenue- just a few blocks from the heart of Times Square. 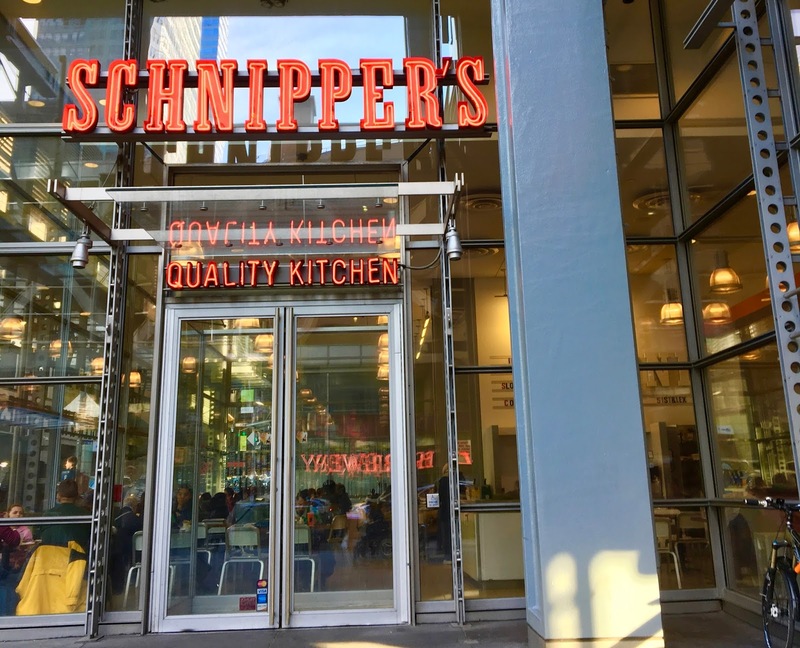 I chose Schnipper's not only because they received glowing reviews on the app, but at first glance were the most affordable option available within a radius of several blocks. 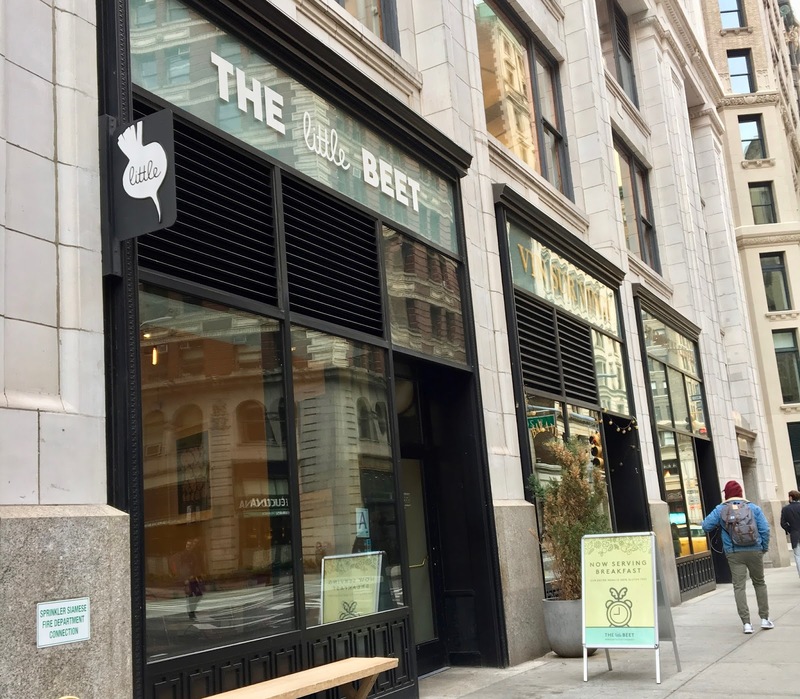 Not only that, but their gluten-free offerings feature rarities that are off limits for gluten-free diners: fish and chips, chicken fingers, and burgers. Knowing that my weekend trip to New York was going to be short and sweet, I made sure to squeeze as much sightseeing as I could into my visit- food-centered and otherwise. Knowing that I had tickets for a matinee and evening Broadway show on Saturday, I decided to spend my morning near Times Square exploring the magnificent New York Public Library in Bryant Park. For my lunch destination between the library and the theater, I chose The Counter, a gourmet burger bar that promises custom-built burgers that let you pick and choose toppings, sauces, and proteins to your heart's content. 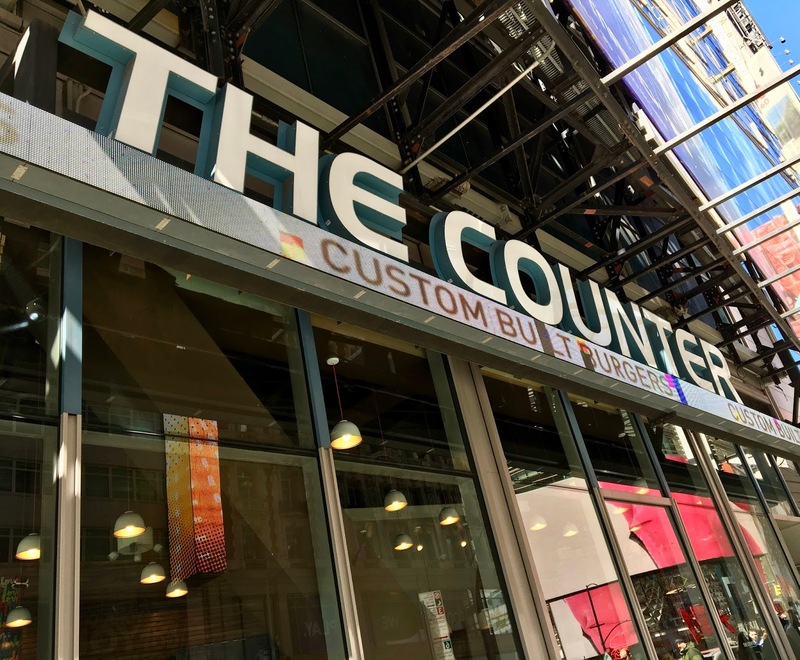 In choosing The Counter, I knew I was getting fast food- but fast food that wouldn't cut corners when it came to quality. When it comes to travel, I am not a huge sightseer. I don't pack my days with tours and places to be but instead focus on a few places of interest and see where the journey takes me. After arriving by train to New York City in the early afternoon, I decidedly made a bee line towards Hu Kitchen, which on this trip was definitely a destination that was topping my list of places to go. 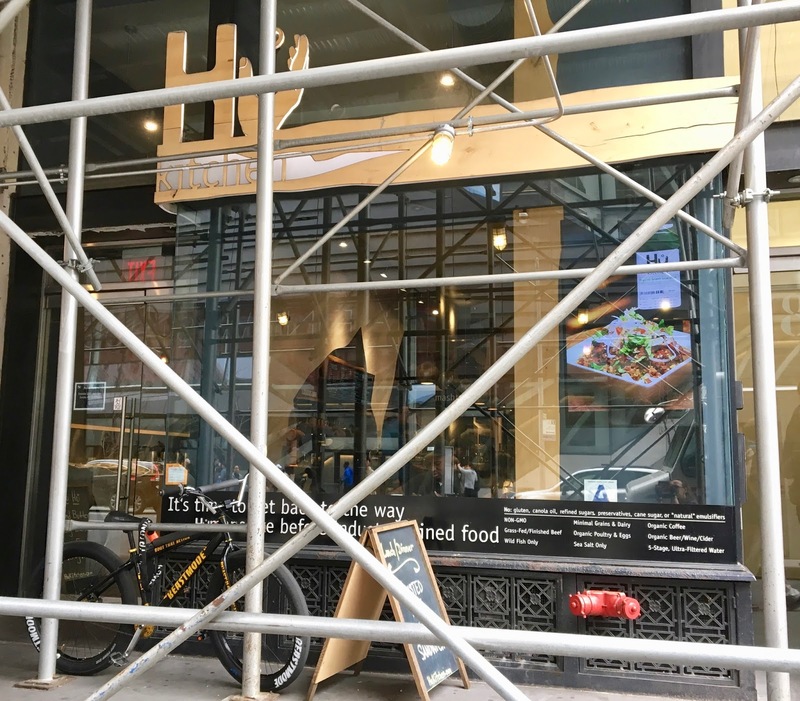 Hu Kitchen has the set up and feel of a grade school cafeteria, but one that is transformed fairy godmother style into the cafeteria of your dreams. Everything served is gluten-free, and most everything is dairy-free and grain-free, with a few rare exceptions. While this is a fantastic concept for anyone who's gluten-free or who is in a group who can't decide where to eat, it's also a huge conundrum. After all, how do you possibly choose what to eat when each item looks better than the next? !